- Use concealer, foundation, eye-shadow, eye-liner, mascara, blush, lipstick but no lip gloss. Full make up. Use concealer, foundation, eye shadow, eye liner, mascara, blush, lipstick but no lip gloss. Smart business attire with full length hosiery. If wearing a skirt, it should be one inch below the knee. Clean and manicured with nail varnish in clear, red or French manicure. Business attire with closed fitted jacket, knee length skirt, skin coloured stockings and closed toe shoes. No neck scarves and no jewellery. If wearing a skirt, it must be one inch below the knee. No slits on skirts. Clean and manicured nails with nail varnish in clear, red or French manicure. Emirates Photo Requirements - Bring along a formal business attire full length and a passport photo standing and posing as shown in the photo above. Neatly tied in a French roll, braid, ponytail or bun, with loose strands pinned up or to the side. Hair should be neatly tied in a French roll, ponytail or bun. Overall, your hair must be neat and tidy with no loose strands of hair. Hair must not cover the ears. Emirates hold open days and assessment days around the globe. Checkout these dates on our website. 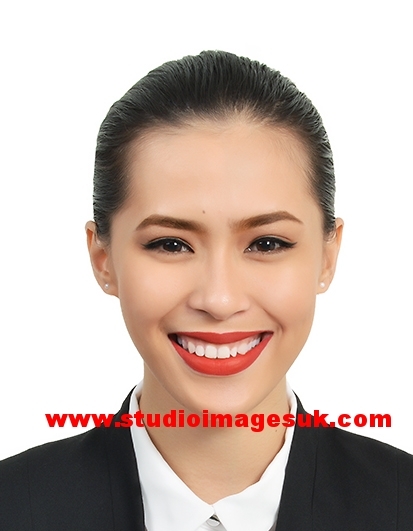 A high quality CV and photo - We can help design a professional CV and edit your photo for you. All these candidates came to us and passed at first attempt. Positive attitude, adaptable to new people, situations and places. Confidence, flexibility, maturity and friendly disposition. Genuine passion to help others. Culturally aware, uphold the value of Emirates. Look for resilience and a determination to perform well and work with people from 120 nationalities. Committed to quality and to exceed customer expectations. Be prepared to spend the entire day at the hotel venue. Shortlisted candidates may have the assessment day on the same day and will be informed of their Final Interview in the days following the Open Day. Your CV and photographs are the most important part at the Open Day. It is worth investing in a professional CV writing service to increase your chances of being shortlisted by the recruiters. Our CV writing service is available at just GBP£50 and the service is available internationally. We can help with CV review, CV writing and cover letter for the Emirates Open Day. As well as the requirements outline above, Emirates Airline expect candidates that apply to be determined to always perform well, and to manage a pretty demanding work schedule. You are expected to also be culturally aware and reflect who Emirates are - professional, empathetic, progressive, visionary and cosmopolitan. They look for these characteristics when they meet you at the Assessment Day so come prepared and demsontarte to the recruiters that you have these qualities in the group exercises they prepare for you.